We know we're not the only ones who get super excited about perfectly portioned foods cooked in muffin pans, so here are two brand-new recipes -- both amazing for summer! 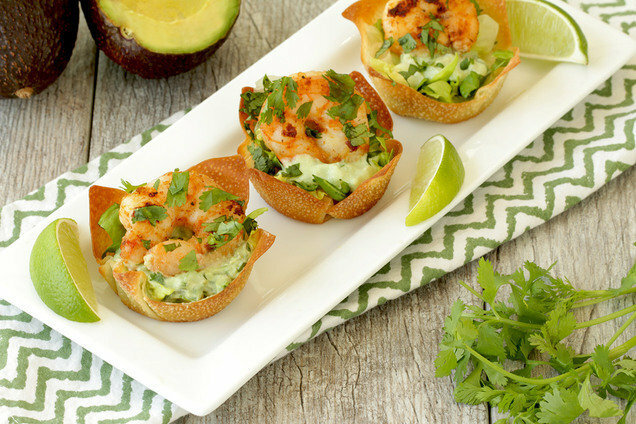 Recipes like this are ideal for summer get-togethers -- no silverware needed! Preheat oven to 350 degrees. Spray a 12-cup muffin pan with nonstick spray. Place each wonton wrapper in a cup of the muffin pan, and press it into the bottom and sides. Lightly spray with nonstick spray. Bake until lightly browned, about 8 minutes. Meanwhile, in a small bowl, mix sauce ingredients until uniform. In a medium bowl, coat shrimp with seasonings. Bring a grill pan (or skillet) sprayed with nonstick spray to medium-high heat. Cook and flip shrimp for about 4 minutes, until cooked through and blackened. Evenly fill wonton cups in this order: lettuce, sauce (about 1 tsp. ), shrimp, and cilantro. In a medium-large bowl, combine both types of flour, sweetener, baking powder, baking soda, and salt. Mix well. In a medium bowl, combine all remaining ingredients except almonds. Whisk until uniform. Add contents of the medium bowl to the medium-large bowl, and mix until uniform. Evenly distribute batter into the muffin pan. Sprinkle with almonds, and lightly press to adhere. Bake until a toothpick inserted into the center of a cake comes out clean, 25 - 30 minutes. 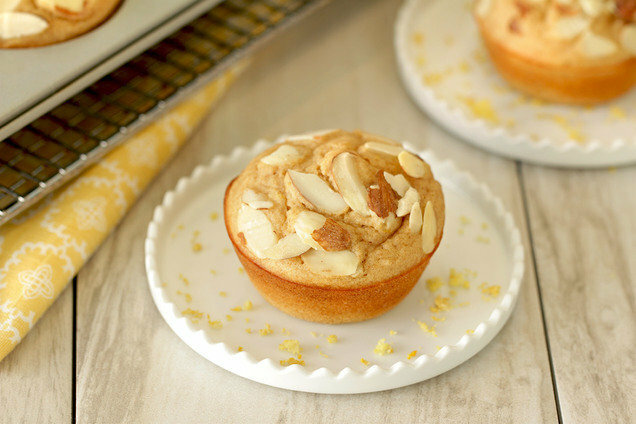 Hungry for More Healthy Muffin-Pan Recipes? Oh hey, it's National French Fry Day, July 13th! Scope out this roundup of baked fries, and make a recipe or two. Your pals need these recipes... Hurry up and click "Send to a Friend!"